Perfect for our unpredictable NZ weather. This hat features soft, packable and water repellent wool felt. Crush it or fold it and the hat pops back to its shape with a quick shake. 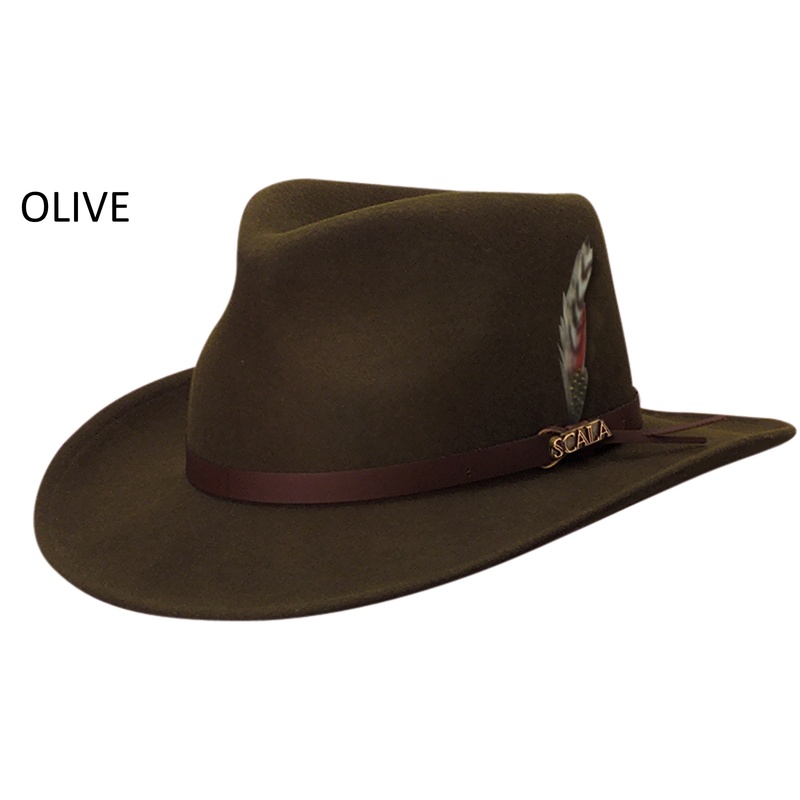 Its classic outback design includes a tear drop crown adorned with a smooth faux leather hat band and Scala side pin. 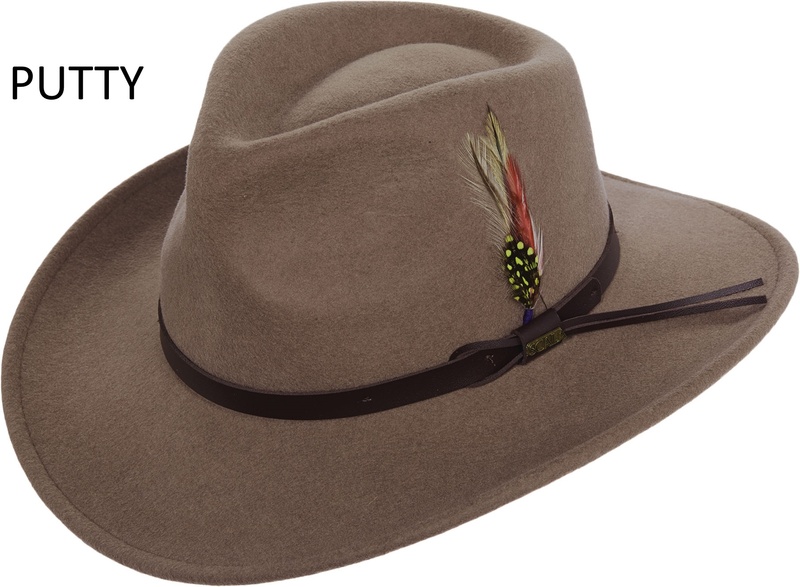 Hattitude is the catchy name of New Zealand's only traditional men's hat shop. 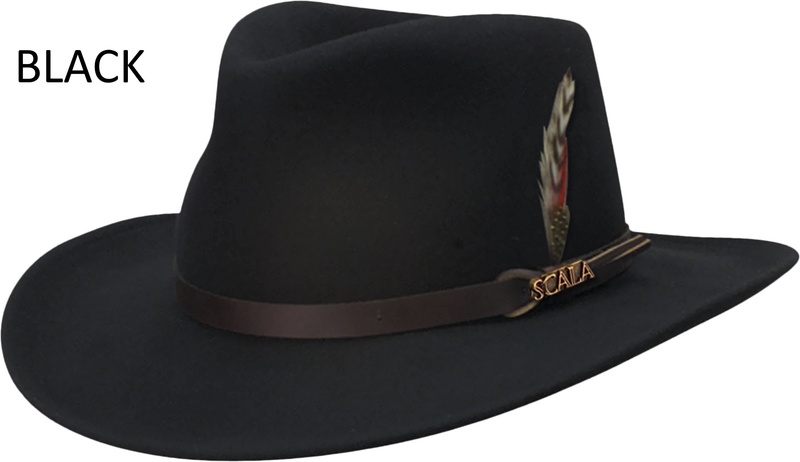 A treasure trove for hat lovers with Flat Caps, Fedoras, Panamas, Top Hats and so much more.